Risk gets a bad press, often seen as synonymous with hazard, implied recklessness and even outright danger. But could any of us live in a world without risk, and would we really want to? Through a series of nine rich pen portraits, Polly Morland takes us on a journey through the world of risk, focussing not on the extremes, but on the routine risks many of us embrace as part of everyday life. From the families who have lived on the slopes of Mount Vesuvius for generations to the Paris Opera ballet star facing up to the physical, creative and reputational risks of her profession; from the New York City forensic engineer who lives daily with high-rise risk to a community of deprived children learning to mediate risk for themselves through playing, sometimes quite literally, with fire. 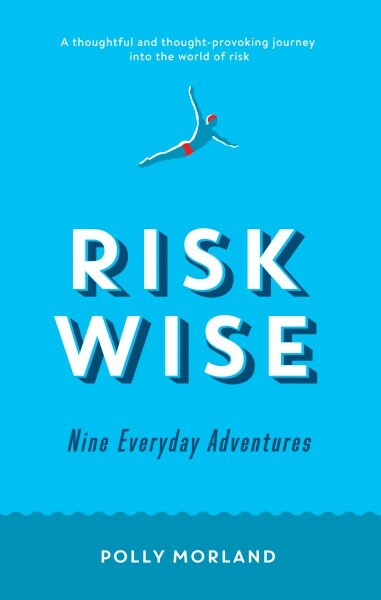 Illustrated by documentary photographer, Richard Baker, the stories in Risk Wise address fundamental questions about how to live well alongside risk. It argues that being ‘risk wise’ – the ability to understand and accept risk as an essential part of the human experience and even as a force for good – is vital to a full life. This is a book about what makes us a little too cautious for our own good, an attempt to identify a golden mean between recklessness on the one hand and timidity on the other. It’s a book for our times, because now, more than ever, we are forgetting the role that intelligent risk has to play in every human advance. Altogether a delightful book. A dose of measured sanity in an often dotty world. It should be required reading for the next education secretary, and I shall give it to all the parents in my family. A great project … through the variety of interesting stories, we see the colour and sophistication of people’s reasoning. Published in UK by Profile Books in association with The School of Life (2015), in Germany by WeissBooks and in Italy by Vallardi. Chinese and Taiwanese editions are also available. The book began with a collaboration between The School of Life and Allianz Global Investors who together invited Polly to take up a writer’s residency reflecting upon the human experience of risk.